The system that everyone in the press seemed to be writing off as a failure just 4 months into it's launch seems to be making a name for itself. 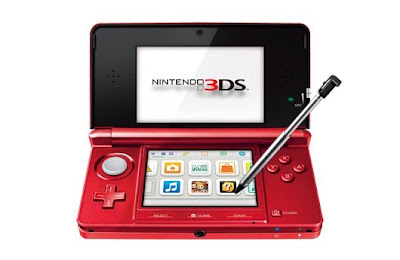 The 3DS has been on fire with it's sales reaching nearly 500k a week in Japan and close to that in the United States. With the PS Vita releasing during the Holiday season in Japan, it was imperative that Nintendo had games to counter act the situation. Super Mario 3D Land, Mario Kart 7 and Monster Hunter 3G seemed to really catapult the system very quickly to it's little brother's DS level. The new year is upon us in only 2 days and it's seems that the 3DS will be bringing in the new year with a bang. Nintendo 3DS is actually going to get up to 15 million units worldwide faster than even the Wii did by two months next week. While I'm happy about this; there is still a lot of work to do for Nintendo considering as I said before "It's a tough act to follow after DS and Wii's amazing sales". Their software sales are not good thus far (besides Mario Kart 7 and Super Mario Land 3D), they still don't have a million unit seller from a third party yet (although that is coming with Monster Hunter 3G) and this still doesn't prove it's long term sales. Will it go up to 30 million units a year like DS did and get close to 150 million like DS; or will it stay at 15 million a year and be lower than GBA? Those are questions left to be answer. At least now; the Virtual Boy gallstone has crumbled and it looks like it won't die like Gamecube and N64 would. And it will still beat Vita by a country mile unless Sony finds some way to be different. As for Wii U; who knows. Too many variables right now could happen. I'll wait until after E3 2012 at the earliest before I make a decision on it's path.